Home About Is Adventure Touring The New Sport Touring? Is Adventure Touring The New Sport Touring? I recently wrote an article on the history of sport touring motorcycles for this site. 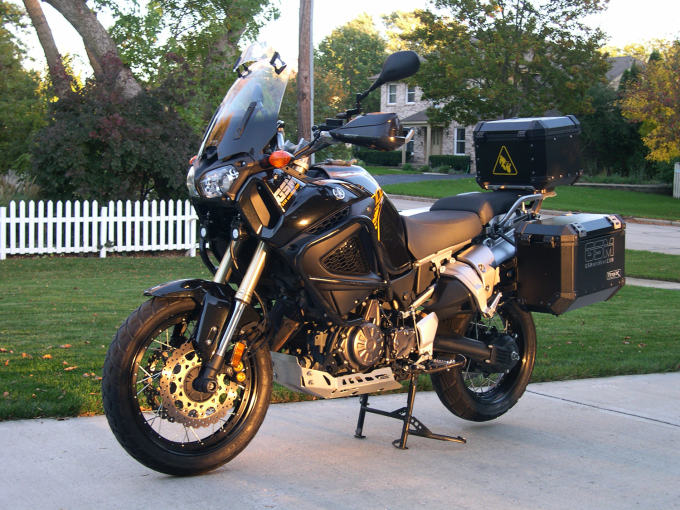 In that article, I mention my current sport touring motorcycle being a Yamaha Super Téneré. The S10 is an adventure (ADV) bike, not a sport tourer (ST), right? Most riders consider sport touring bikes to be something like a Kawasaki C14 Concours, BMW R1200RT or K1600GT, or a Yamaha FJR1300 (my previous sport tourer). ADV bikes are one of the fastest growing segments in motorcycling and my belief is that the segment will continue to grow rapidly. ADV bike sales are increasing through riders who buy them solely for street use and as dedicated sport tourers. There are several reasons for this trend and I’d like to briefly address some of them along with my personal experience. 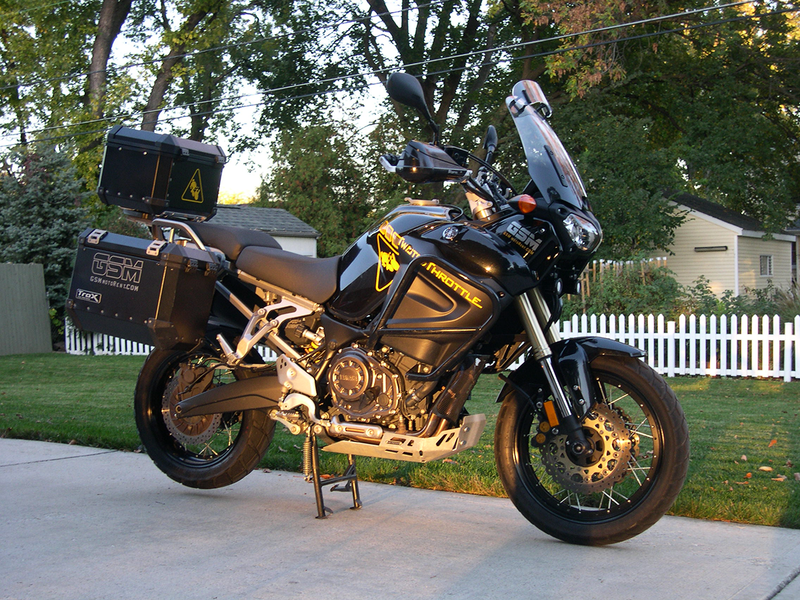 I owned a 2004 FJR1300 for ten years and amassed over 50,000 miles on it. It was a great bike for my riding style and needs. It was comfortable for two-up travel, plenty powerful, had ample storage space and handled better than a bike of its size had any right to. Over the years we rode with many friends and acquaintances who owned ADV bikes, predominately BMW GS‘s. 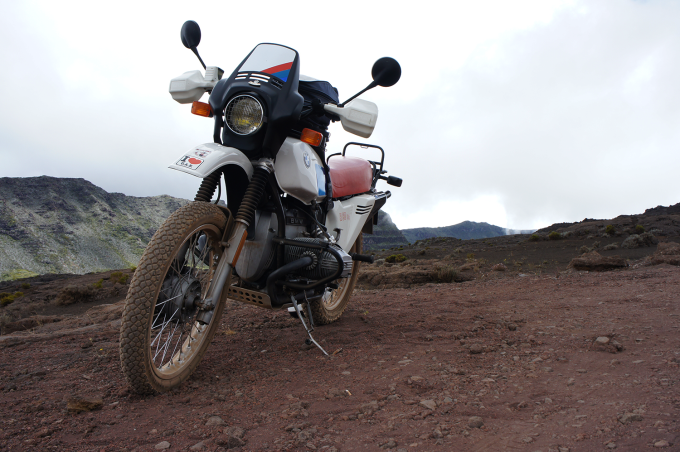 Many of them used their bikes for on and off-road duties as a proper ADV bike but some used them strictly for pavement. Most were seasoned, talented riders who had owned many bikes, riding the wheels off the ADV bikes on twisty roads and having no problem keeping pace with my more powerful and (supposedly) more sporting FJR. I noticed that they seemed to be more comfortable as well, needing fewer stops on long rides and not having to stretch as extensively. These factors piqued my interest in ADV bikes. My good friends Dan and Debbie Dickie, owners of GSM Motorent in Townsend, TN, had a Super Téneré in their rental fleet. Their S10 had been tricked out by Twisted Throttle, featuring every ADV option they marketed: skid plate, crash guards, aluminum panniers and top trunk, LED auxiliary lights, replacement windscreen, handlebar risers, the list goes on. Twisted Throttle had an agreement with Dan and Debbie that they would provide and install all of the goodies on the bike free of charge, provided they could use the bike for advertisement. The bike is featured in their product catalog and on their website. After one year, Dan and Debbie were free to do whatever they liked with it. I had a chance to take it for a test ride during spring of 2013 and, although I can’t say I was overwhelmed, I did like a lot about it. Dan said he planned to sell it come fall and I told him I’d definitely be interested. We worked out a deal. In October Cathy and I flew to Knoxville to retrieve it. Dan and Debbie drove us from the airport to their home where we enjoyed the remainder of the day in their lovely rental cabin (my home away from home). I noticed that my friends seemed to be more comfortable on their ADV motorcycles, needing fewer stops during long rides and not stretching as often. The following morning, we headed to another friend’s Appalachian tour at Dale Walker’s “Wheels Through Time” Museum in Maggie Valley, NC. It took a while to get used to the differences between the FJR and S10. The S10 was less powerful but had a nice, torquey distribution. It had a very comfortable seating position with much more leg room than the FJR. This was a huge plus for me as my knees have had a tough life of jogging, hockey and softball, not to mention carrying (at least) a few too many pounds. The FJR was pretty comfortable but still a bit harsh for my wonky knees. The S10 handles differently but nicely, due to its narrower tires and wide handlebars. The suspension’s wonderful, with enough travel to be plush while also sporting. The luggage capacity is significantly larger. The not so stylish but large and boxy panniers hold much more than the decent sized FJR bags. They’re also top loading which I greatly prefer over the FJR’s clamshell design. We didn’t do any sporty riding at first. Rather, it was a slow grind through Smoky Mountain National Park and a casual ride to our destination for the night. The following day was a free day on the tour which we used to ride a loop of some of the best roads in the area including Deal’s Gap and the Cherahola skyway. We were riding with our good friend Denny who is a very good BMW GS rider. We rode Highway 28, another great road, to Deal’s Gap before stopping at the resort for fuel. It was a beautiful day and we were riding at a “spirited” pace. At the resort Denny mentioned that I must be pretty comfortable with the new bike as I was throwing sparks on 28. This surprised me a bit as I hadn’t noticed any grinding noises and didn’t think I was pushing that hard. By the end of that day I was completely comfortable with the S10 and ground the pegs a few more times, all without any drama. The longer suspension travel make it a perfect mount for less than perfect pavement and the wide handlebar provides excellent turning with minimal effort. It’s also a lot of fun in side-to-side transitions as it’s a long way from one side to the other (the bike’s tall). After another day of sporting fun we departed from the tour for a more mundane, mostly freeway ride home. The S10 is also a great bike on the slab. The seating position and large fuel capacity give it considerable comfort and range. It’s extremely composed at super-legal highway speeds. Arriving at home, Cathy and I were both convinced that we’d made a good decision. The ADV category was invented by BMW in 1980 with the release of their R80G/S. This wasn’t intended to be an ADV bike but rather a platform for their Paris-to-Dakar, off-road rally bikes. They were successful as the R80G/S and it’s successor, the R100G/S, won the rally four times. 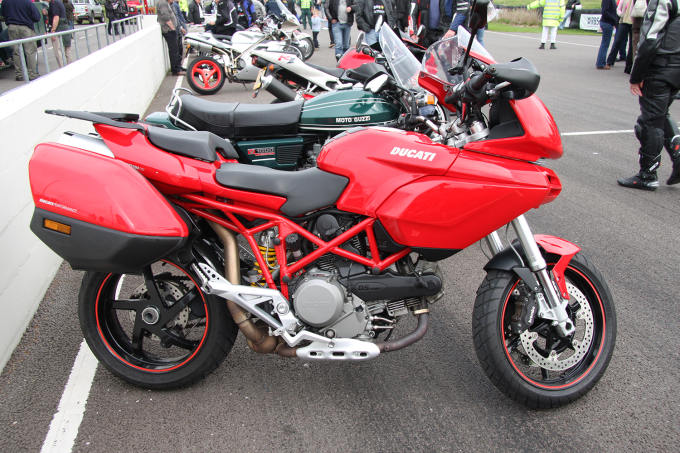 As the GS series evolved the bikes became bigger, more powerful and included more creature comforts. 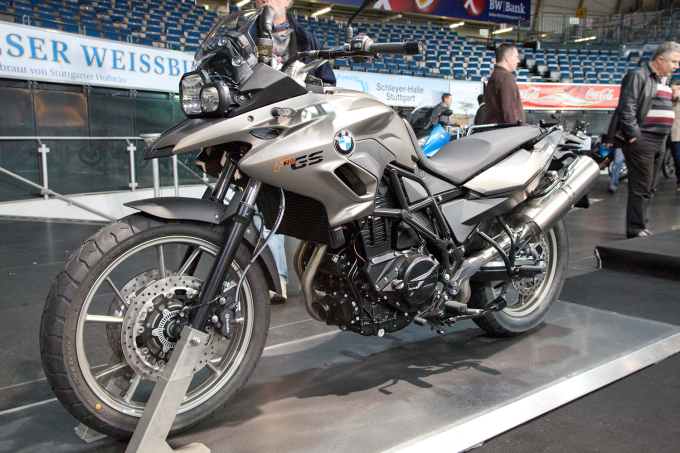 Riders began to discover the benefits of the ADV type bike and the GS series became BMW’s best selling model. Other manufacturers took note and began producing their own ADV bikes. Some of the more prominent motorcycles in the category include the Suzuki V-Strom, Yamaha Super Téneré, Triumph Tiger (XC version) and KTM Adventure. These examples, along with the BMW GS series, have decent off-road capabilities, most evident in their taller and narrower front wheel size. As ADV bikes became more popular, manufacturers began to recognize the marketability of longer suspension travel and rider friendly ergonomics. They also realized that many riders had little to no intention of using these bikes for off-road riding. They began producing ADV styled bikes with street sized wheels and tires. One of the first to implement this configuration was Ducati with their Multistrada, introduced in 2003. Other notable examples are the Honda NC700X, Triumph Tiger (non-XC version) and Kawasaki Versys. Besides comfortable ergonomics and luggage capacity, there are other factors that make ADV bikes desirable (and at least one that makes them less desirable). ADV bikes are often the first bikes to incorporate new technology. Electronically adjustable and active suspension systems are developed on them because of the range of conditions they’re designed to encounter. The same is true with rider selectable ride modes, traction control and ABS braking systems. BMW and Ducati tend to be the earliest innovators of these technologies. Another big factor in the growth of the ADV segment is image. Motorcyclists are predominately male and middle aged males are marketing targets due to their typically higher disposable income levels. Men like to be manly and there’s nothing more manly than the “rugged, outdoor” type. Browse any motorcycle magazine and you’ll see plenty of ads featuring fit, handsome men astride their dirty ADV bikes (usually sporting impeccably groomed three day beard growth). Marketing types know these images appeal to middle aged men and make excellent use of said fact. A great comparison can be made to the growth of the motorcycle ADV segment and the huge automotive SUV market. Just look around and you will see numerous examples of huge, four wheel drive SUVs with brush guards and other “manly accessories”. We all know that the vast majority of these vehicles rarely (if ever) see an unpaved road, much less a gnarly trail. Along with the image factor is what I refer to as the “lemming factor”, referring to consumer desire to follow a trend. Forget the fact that a simple middleweight motorcycle would fit a person’s needs perfectly. People want to fit in and all of the cool kids have ADV bikes, so that’s what they want. Look no farther than Harley-Davidson for perfection in image and lemming marketing. One factor that makes ADV bikes less desirable to many is their height. The nature of an ADV bike calls for longer suspension travel and upright ergonomics. This makes them impractical for height-challenged riders. Some manufacturers offer adjustable seat height and the more street leaning ADV bikes offer less of a challenge for shorter riders, so this factor is not as huge as one might think. The above considerations, both practical and impractical, will continue to drive growth in the ADV segment and I predict that ADV bikes will absorb more of the traditional sport touring market. Many rider’s reasons for choosing an ADV bike will be based on image and trends. A majority of these riders will never use their ADV bikes for off-road use. However, most of them will find that ADV bikes make fantastic street bikes, particularly in a sport touring role. How Do You Differentiate Adventure Versus Sport Touring? The definition of sport touring isn’t without it’s debates. What riding profile do you prefer? How did you decide on this format? Your input is invited. Post an article! I learned quite a bit from this, Joe. Thank you. I don’t necessarily agree with your conclusion but am now better informed about ADV riding. A few days after this was published, I received an email via Google alerts that references what the industry is beginning to call “adventure sport”. To me, those words shine. Even our beloved Avon tire company is adjusting their catalog to suit. Perhaps “adventure sport” is the new genre in question. Through latin formulation alone, it introduces a clear separation between itself and the “yet to be defined” sport touring. Personally, I’m of the opinion that sport touring refers to a sport bike that’s been fitted and shaped for more comfortable travel along greater distance. The posture, upright but with a slight forward lean, makes aggressive handling arguably more feasible when compared to something such as your S10 (I’m aware that you touch on this issue above from an FJR’s first-person viewpoint). That stated, the idea of an ADV bike being fitted for sportier/paved environments ads up to this new industry-dubbed moniker. Of course, that’s just another opinion. Your writings above have opened my mind to alternate perspectives. Great work and thanks again! I liked adventure bikes before they were really in vogue. Now I cringe whenever I see middle aged men (of which I’m one) riding their ADV (mostly overpriced BMW) bikes with farkles galore, covered head to toe in $1200 worth of protective gear. The Versys and V-Strom remain icons from before other bikes became status symbols. What’s more, they’re affordable … real bikes for real riders. My opinion has changed quite a bit since I posted my original comments (above). I guess I needed a year or so to process what Joe’s suggesting. As of today, I agree with him completely … with stipulations (laugh). I think “sport touring” as a term is discussed often enough among motorcyclists that it’s classification has become “more defined than undefined” but the two ingredients in it’s moniker, namely “sport” and “touring”, regularly upset the conclusions of every descriptive argument I’ve ever heard. There are simply too many combinations of “sport” and “touring” for some unified statement to express a singular absolute. The end truth is that a sport touring rider must decide for his/herself which area of the sport touring class (or phylum?) today’s ride/route falls into. There’s dirt and tarmac of all types. I mention dirt first because dirt existed first. Dedicated off-road sport touring riders deserve the respect that comes with facing more rugged terrain. I myself am strictly a street rider (currently), so take note. While dual-sport and ADV bikes have their own pre-labelled genres that remain independent of one another, both can be rigged for higher mileage touring. THAT … is where my opinion shifted. Sport tour motorcycling, regardless of the terrain, represents a lively riding style over great distances, sometimes incorporating preinstalled creature comforts for the sake of extending said distances. Sport touring motorcycles are purpose-built or owner-modified, with “alpha” riding as a core mindset. They boast enough storage space to carry everything desired for day-to-day activity over a significant number of miles (at least 1k) while providing enough maneuverability to handle the route less travelled in a sporting manner. Again, this personal definition doesn’t aim to prove anything. It’s my own personal perspective and should you agree or disagree, at least you’ve come closer to deciding for yourself what it means to you. Don’t forget to read a brief history on the topic via this page.